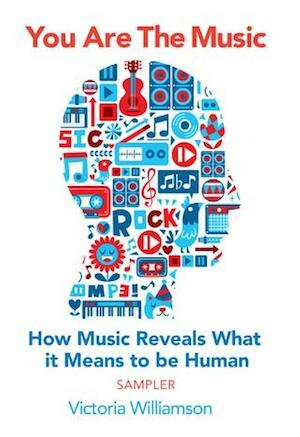 Dave Jennings is enthralled by a brilliant book that shows just how important a part music plays in our lives. It’s very rare that it’s so easy to say so, but this is definitely the book for you. The simple fact that you’re browsing Louder Than War means that music has a place in your life. How much of a place it has had will probably surprise you – and you’ll certainly be interested, very interested. A lot of issues connected with music, and which go to the very heart of what makes us human, are contained within the pages of this book and I guarantee you’ll recognise many of the issues the author, music psychologist Victoria Williamson, studies. If you will indulge me for a moment I’d like to take you back to September 1979 when Wrexham lost the second leg of a League Cup game 3-0 to Southampton. Nothing unusual or particularly memorable about that except for the scars that night left on me. Before the game, and again at half time, the PA system at the ground blared out Since You Been Gone by Rainbow. My thirteen year old brain had obviously absorbed this alongside the dubious privilege of watching Ivan Golac, David Peach and Trevor Hebberd give my beloved Reds some tough love. On hitting the sack that night my restless mind refused to grant me sleep and all I could hear was Since You Been Gone on an endless loop as the hours ticked by and dawn neared. Since that sleepless night, I’ve been able to ‘name that tune in one’ at any time it’s aired in various situations. Each time I hear it I immediately feel somewhat nauseous and that’s nothing against Rainbow. Most of us are familiar with the ‘earworm’ scenario of the tune stuck in your head but, as Vicky Williamson shows, there’ s a whole lot more to your memory which can be triggered very effectively by music. What she brilliantly demonstrates is what you probably knew without being able to explain, that music is present and utterly essential throughout our lives. From birth, we have musical skills and recognise rising and falling sounds, the kind many of us use in that tone of voice when we speak to children who usually smile at the musical sound of the adult voice. The big question of whether Mozart really does increase your child’s IQ is examined and is maybe not as good as mythology would have it. My advice is to try The Wurzels for that! Adolescence is not the easiest period. For many of us it’s bound up with musical memories and for good reasons. This is the stage where our emotions are all over the place and music can offer a safe place for mood expression, perhaps explaining the teenage urge to pile into the rugby club disco, pester the DJ to “play some punk” then pogo like a lunatic, often on top of some unfortunate soul who had tripped over on the dance floor. Obviously, we form emotional attachments to music with the ‘our tune’ that can connect powerfully to life memories and which are most strongly formed during adolescence. It also helps with the development of self and with group identity as music is an excellent definer that helps adolescents fit in with social situations as it helps them move from small family groups to a wider social group identity. It’s clear by this stage that Vicky Williamson is presenting a strong argument for music’s omnipresence in our development and everyday lives. Now comes the time to ask yourself the big question, “what is the best music of my life?” The chances are for many people it will be the music they loved during their adolescent period, despite the fact that they probably hear loads of new stuff that they love all the time. It’s what Williamson defines as the ‘frozen in time’ aspect of music and whether it’s She Loves You, No More Heroes or Wonder Wall, it simply never changes from the first time you heard it and is a mental time travel device. Hormones, growth and life changes are all bound up with music and such is its ability to evoke memory and emotion, that you will forever be tied to the music of your adolescence. Life goes beyond adolescence, however, and music is with you all the way. Williamson demonstrates how music can help us to work but only if it’s the sort of music you enjoy and you want to hear while you work. There’s nothing worse than someone selecting background ‘motivational’ music and expecting their workforce to increase their efforts because of it. Can you imagine anything worse? Music to help you play is also an area the book focuses on and the point is well made that few of us probably actually sit down to listen to music anymore. We listen to it a lot, but generally as we’re doing something else – even if it’s just dancing. Williamson makes some great points about what our dancing gives away about ourselves which you must read, but I’m certainly glad I choose to desist from the activity. The final chapter focuses on the issue of music and well-being with the possibility that it can combat depression, help Alzheimer’s sufferers continue to connect, help people withstand invasive treatments and recover from serious illness. Again, though, this must be the music of choice as the message that repeatedly comes through in this book is that music can work wonders for those who wish to receive it, but it can never be used to force a change on someone, no matter how well intentioned. Vicky Williamson has written a considered, thought-provoking and revealing book for those of us who love music of any genre and are keen to learn more about the crucial role it plays in our lives. You Are The Music is published by Icon Books and is available here. To learn more about music psychology visit Vicky Williamson’s website. Vicky Williamson is also on Twitter. All words by Dave Jennings, discover his Louder Than War archive here.